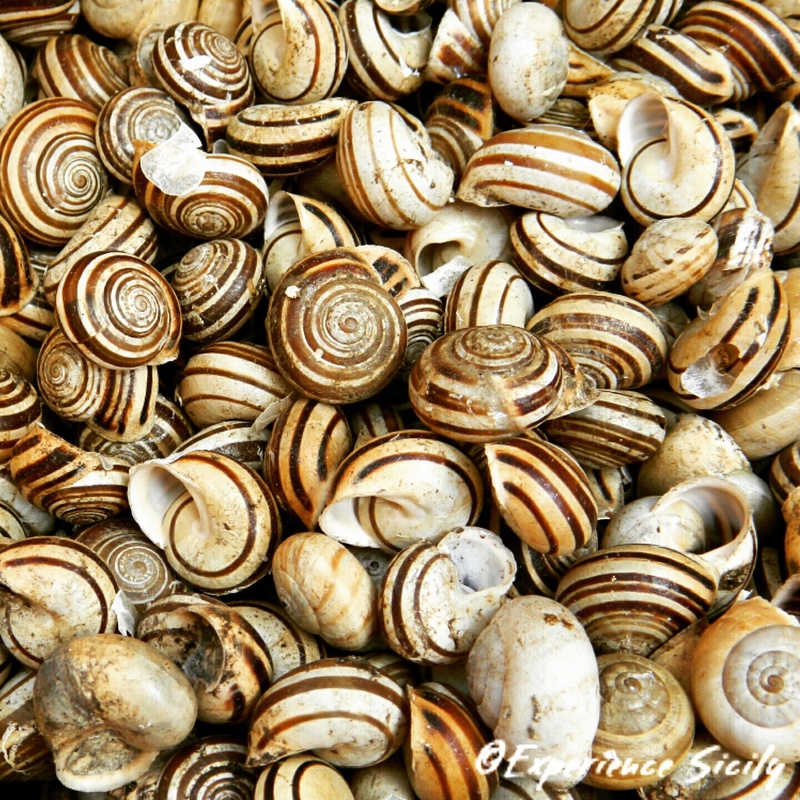 The snails used to make Babbaluce, the traditional food for Il Festino in Palermo, are actually land snails. During this time of year you can see them all over Sicily on fences, logs, rocks, and more. Once collected (by hand!) and cleaned, they are steamed and tossed with garlic, olive oil, salt, and fresh Italian parsley. And they are very tasty!